Led bullbs closeup. Diode lightning. The advantages of LED downlights are obvious. Standard halogen downlights use about 50 watts of electricity each. You’ve probably got more than one. Let’s say you’ve got 6 downlights in your room. That’s 300 watts! Swap those for LED downlights and you can reduce your consumption down to about 33 watts. That’s going to equate to real and noticeable savings on your energy bills. The main reason halogens use so much electricity is because they’re pushing out a lot of energy in the form of heat. They run hot. As a result they’re the one of the major causes of house fires in Australia. 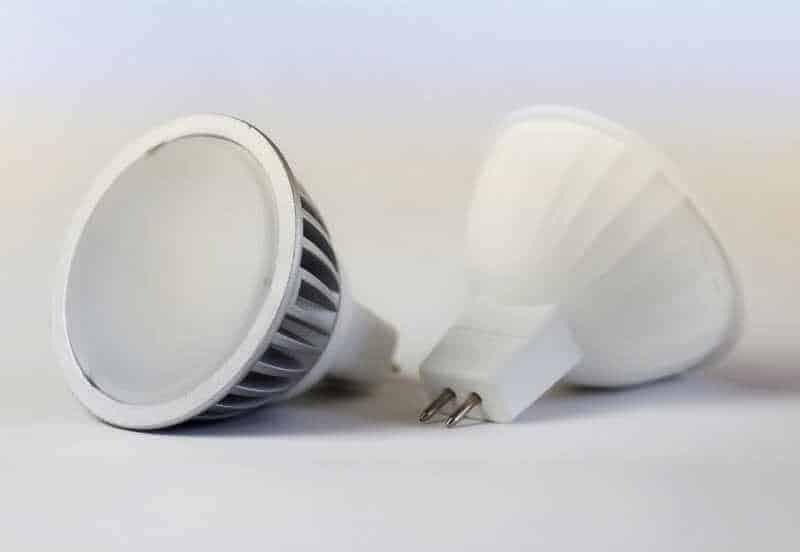 LEDs run cool and have much lower electricity consumption. They also have a longer lifespan, lasting up to four times longer than halogens. The LEDs we install come with a 7 year manufacturer’s warranty. We’re yet to have a single failure or callback with these LED lights. We will supply and install LED downlights, in place of existing downlights, with white trim in either cool white or warm white, for just $45 each. That price includes GST. This special is for a limited time only and applies only to installation of 3 or more LED downlights supplied and installed. So how good are these LED downlights? Well they come with a 7 year manufacturer’s warranty. Upgrade your LED downlights today and save. Our fully licensed and insured electricians come to your home or business, install the LEDS, for just $45 each. To get this special discount you must get at least 3 LED lights supplied and installed by South East Electrical. Total cost is $135. This saves you $45 over the normal of of upgrading 3 LED downlights. The more you install the more you save. We’re a Gold Coast company servicing Gold Coast and Brisbane. Call us today on the number today and we’ll attend promptly. We know you’ll be happy with our service. Our aim is to make South East Electrical your number one electrician.